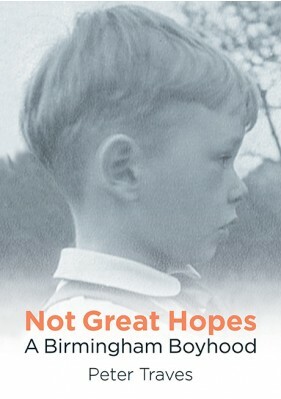 Not Great Hopes is a personal account of episodes from the author’s childhood and a vivid evocation of life during the 1950s and 1960s. The chapters range from everyday life in the Birmingham suburb of Northfield, to school life, sport, television, holidays, a first experience of foreign travel, extended family and the account of a bitter family breakdown. They include details of a childhood that is in many ways dramatically different from the childhood of today, though many themes will resonate across the generations. The book also gives an account of the author’s relationship with and impression of a city, Birmingham, in a period of tumultuous demographic and architectural change. It ranges in emotional tone from the light and humorous to the poignant and tragic. Older readers will find much to recognise; younger readers, much to surprise them.